My family and I love to eat out, but more than that, we love ordering food for delivery. Whenever we crave for dim sum, noodles, pasta, and more importantly pizza, we’d just dial the hotline and continue with our chores before sitting back and enjoying food delivered straight to our doorstep. However, with the rise of smart phones, it’s definitely easier if there’s an app for ordering good food. Come on, there are just times when you don’t feel like using the telephone to call up for food delivery, right? Right? Well fortunately, one of the biggest pizza joints in town heard our plea. Shakey’s introduces the Shakey’s PCM (Pizza, Chicken N’ Mojos) App. Now, you can just tap away and order through your iPhone (iOS Ver. 4.3 or higher) or Android (Gingerbread Ver. 2.3 or higher). Just download the Shakey’s PCM App from the App Store or Play Store, and you’re set for a smooth ordering process via Wi-Fi or even SMS. First-time users must fill out fields on the first screen to register. After confirming for your registration, you can now move on to order. b. You can add platter size pastas to your order too. After confirming your order, the next screen will prompt for mode of payment. 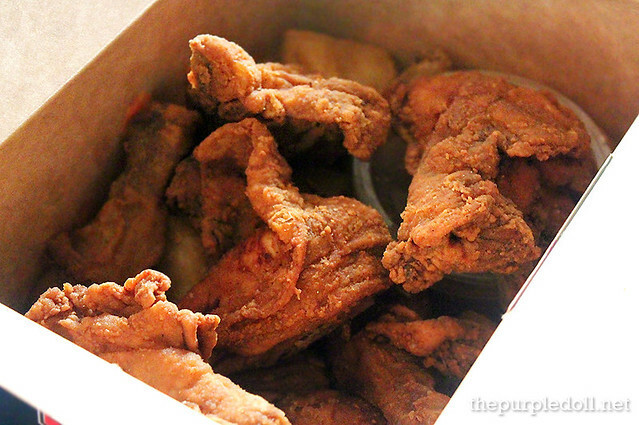 Confirm that your order is correct, and patiently wait for your Shakey’s PCM treat. You can also share your Shakey’s PCM ordering experience through your Facebook and Twitter. Once your order is complete, the app will ask if you want to share the news via Facebook or/and Twitter. 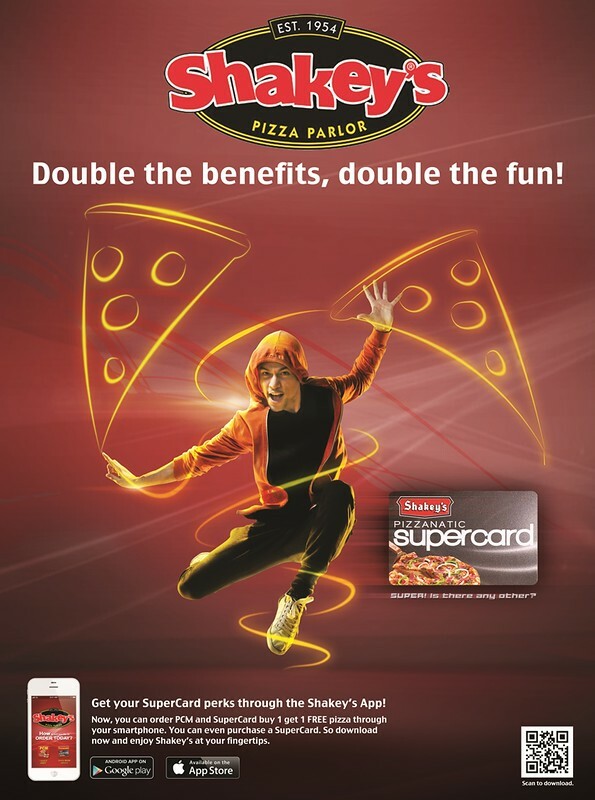 If you have the Shakey’s SuperCard, good news ‘cause the PCM App gives you not just the convenience you wanted, but also your free pizza with every pizza and Coca-Cola purchase. If you don’t own a SuperCard though, fret not ‘cause you can order your very own SuperCard through the App for only P399. My family and I have tried using the Shakey’s PCM App to order a PCM Bundle, and the whole ordering experience was smooth and definitely easy-to-follow. Sure, it got some booboos like how one can’t fully customize the treats you’d like to order. However, the Shakey’s PCM App wouldn’t be called as such for nothing. If you’re like our family who knows that a combination of pizza, chicken n’ mojos and a liter of Coke is all you need, then download the Shakey’s PCM App now and experience a smooth-sailing ordering system at a touch of your fingertips. For more news and information on Shakey’s, like their Facebook Page or follow them on Twitter. Aww.. Sayang :( Hopefully they expand to Lucena City na rin soon. Wow this app is so cool and so easy for us to order :) I miss shakeys! I hope they will add more to their app menu :) Thanks for sharing this. shakey's is always favorite restaurant because of it's mojo. i really love its food! wow! I really love Shakey's! I hope they will improve more on their services. this is really cool.. i love their mojo's.. my all time fave in shakey's! i love shakeys lalo na c mojos with dip!! yay!! cant wait!! Cool feature. :) Only PCM bundles? Hmmm. Might be good for a group. My name is Liz and I'm a Digital Manager for Shakey's Pizza Parlor. 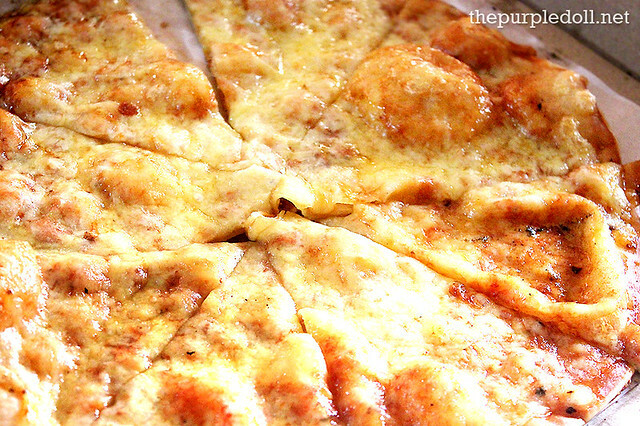 Thanks for mentioning Shakey’s Pizza Parlor on your article. I was wondering if you'd be willing to turn our name into a clickable link that leads to our site (www.shakeys.com). I can’t see a downside for www.thepurpledoll.net and we would greatly appreciate it.